2. The suboptimal use of antibiotics for responsive conditions, such as the choice of drugs with an unnecessarily broad spectrum, incorrect dosage or duration, or poor patient adherence to the prescribed treatment (3). The U.S. Centre for Disease Control & Prevention (CDC) estimates that “antibiotic resistance” is responsible for more than 2 million infections and 23,000 deaths each year in the United States, with a direct cost of $20 billion (4). In Europe, there are an estimated 25,000 deaths attributable to “antibiotic-resistant” infections, costing €1.5 billion annually in direct and indirect costs (5). There have only ever been 3 randomized, controlled clinical trials assessing antibiotics in the treatment of CP/CPPS. Ciprofloxacin, Levofloxacin and Tetracycline Hydrochloride were tested against placebos. Although some symptom improvement was observed, the studies failed to show any significant statistical improvement from baseline to 6 weeks. (6,7,8). PERG recommends the use of testing to determine the presence of bacterial infection and then, in accordance with their guidelines whether to repeat the use of antibiotics or not. They introduced a validating symptom scoring instrument to assist specialists and non-specialists to determine the appropriate and suggested testing methods. The Meares-Stamey 4 and 2 glass tests are clearly advised to determine the presence of bacterial infection, however they only view this as ‘optional’ and not a ‘core’ test. Surely testing must be imperative to avoid the over and misuse of antibiotics in accordance with NICE and global Antibiotic Stewardship Programs (ASP’s)? How can urologists determine, with confidence whether or not they should repeat or even use antibiotics in the first instance without the appropriate testing? A very disappointing 80% of urologists claimed that they ‘rarely’ (47%) or ’never’ (33%) performed the Meares-Stamey 4 glass diagnostic test (10). So, why is this? Well, the 4 glass test has been called ‘time consuming and costly.’ The alternative is the 2 glass test (as outlined by PERG), it was found that the 2 glass test yielded results in concordance with those of the 4-glass test and was used to predict the correct diagnosis in 96% of cases (11). Surely this should be the first line approach for patients with suspected bacterial and/or non-bacterial prostatitis? The test is less time consuming for all involved, the results almost match those found with the 4 glass test and more importantly it can a lead to a correct diagnosis for the patient. The test must be preformed before any antibiotics are prescribed as this will alter the results and therefore the outcome of the patient treatment program. This in turn reduces the unnecessary over prescription of Ciprofloxacin, Levofloxacin or similar highly potent Fluoroquinolones, which have been linked with an increased susceptibility to C. difficile infection (12) and reports of increased hypersensitivity reactions including tendon, joint and muscle pain, pins and needles, tingling or prickling sensations to name but a few (13,14,15). So, where does this leave us? Well, I wanted to share an extract with you from the book “Prostatitis and Its Management, Concepts and Recommendations for Clinic Practice” released earlier this year (2016) by Tommasi Cai from the Department of Urology at Santa Chiara Regional Hospital, Italy and Truls E. Bjerklund Johansen from the Department of Urology at Oslo University Hospital. This is a hypothetical conversation between a General practitioner (GP) and a Urologist (UR) regarding a prostatitis patient. GP. Can I use antibiotics in the management of nonbacterial prostatitis patients? This sounds like a practical, contemporary and patient focused approach to the use of antibiotics for a typical CP/CPPS patient. It clearly states that unless there is empirical evidence from the appropriate testing then there is no rationale for repeat, prolonged antibiotic prescriptions. I would love to hear that my patients are being tested for bacterium cultures through the use of the 2 (or 4) glass Stammey test. If there is a bacterial infection let’s treat it, lets go to the heart of the matter and know 100% what we are dealing with. This would certainly indicate a significant shift in the right direction. If there is no infection then antibiotics should NOT be used, period. We already have a global issue with antibiotic resistance, why are we feeding that beast? This is an opportunity to change the way a ‘typical’ CP/CPPS patient is managed. This is an opportunity for a proper diagnosis and the necessary treatment to ensue. 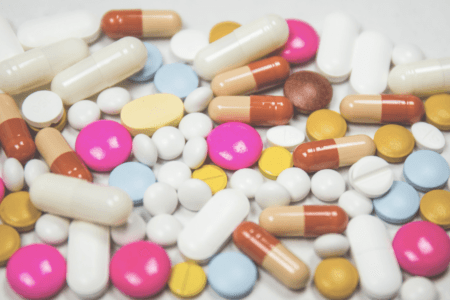 Urologists and Dr’s – is the long term use of antibiotics the right answer for the non-bacterial prostatitis patient? The evidence suggests not. There is a responsibility in primary and secondary healthcare to protect patients from antibiotic resistance. Test that patient, know for sure if there is a need (and in 5-10% of all cases there clearly is) for antibiotics. We know so much more about pain now, why are we still treating CP/CPPS patients the same way we have been for decades? Let’s step up as a whole patients, primary and secondary healthcare providers and make the required changes to ensure the necessary care and appropriate treatment follows. 1. Van Boeckel, T. P., Gandra, S., Ashok, A., Caudron, Q., Grenfell, B. T., Levin, S. A., and Laxminarayan, R. 2014. Global Antibiotic Consumption 2000 to 2010: An Analysis of National Pharmaceutical Sales Data. The Lancet Infectious Diseases, 3099(14):1–9. http://doi.org/10.1016/ S1473-3099(14)70780-7. 2. Cizman, M. The Use and Resistance to Antibiotics in the Community. 2003. International Journal of Antimicrobial Agents, 21(4):297-307. 4. Centers for Disease Control and Prevention (CDC). 2013. Antibiotic Resistance Threats in the United States. Atlanta. 5. European Medicines Agency (EMA) and European Centre for Disease Prevention and Control (ECDC). 2009. The Bacterial Challenge: Time to React a Call to Narrow the Gap Between Multidrug-Resistant Bacteria in the EU and Development of New Antibacterial Agents. Stockholm. 6. Alexander RB, Propert KJ, Schaeffer AJ et al (2004) Ciprofloxacin or tamsulosin in men with chronic prostatitis/chronic pelvic pain syndrome: a randomized, double-blind trial. Ann Intern Med 141(8):581-9. 7. Nickel JC, Downey J, Clark et al (2003) Levofloxacin for chronic prostatitis/chronic pelvic pain syndrome in men: a randomized placebo-controlled multicenter trial. Urology 62(4):614-7. 9. Rees J, Abrahams M, Doble A, Cooper A; Prostatitis Expert Reference Group (PERG). (2015) Diagnosis and treatment of chronic bacterial prostatitis and chronic prostatitis/chronic pelvic pain syndrome: a consensus guideline. BJU Int. 2015 Oct;116(4):509-25. doi: 10.1111/bju.13101. 10. McNaughton Collins M1, Fowler FJ Jr, Elliott DB, Albertsen PC, Barry MJ. (2000) Diagnosing and treating chronic prostatitis: do urologists use the four-glass test? Urology 55(3):403-7. 11. Nickel JC, Shoskes D, Wang Y, et al. (2006) How does the pre-massage and post-massage 2-glass test compare to the Meares-Stamey 4-glass test in men with chronic prostatitis/chronic pelvic pain syndrome?. J Urol. 176(1):119-24.